Jim Hall is an intellectual property litigator straddling Nutter’s Litigation and Intellectual Property Departments. Clients rely on Jim to master the technical aspects of patent disputes and work with expert witnesses to develop winning arguments and testimony at trial. Priding himself on his ability to solve difficult problems quickly and efficiently, Jim has successfully achieved diverse client objectives, including patent licensing, infringement defense, and litigation avoidance. Client goal: Execute patent licensing campaign. Project experience: Jim was the lead technical attorney on a team representing a patent holder suing numerous defendants on a portfolio involving wireless communication technologies. Jim successfully shaped the technical aspects of his client’s liability case by securing favorable claim construction rulings and obtaining key infringement evidence and deposition testimony. Jim worked with and guided testifying experts to put together an ironclad infringement case. As a result of Jim’s efforts, each of the defendants settled before trial on terms favorable to his client. Client goal: Prevail in patent trial involving anti-piracy software. Project experience: Jim was the lead technical attorney for a patent holder suing a large software company on an anti-piracy software patent. Jim marshaled the evidence and worked with the testifying liability expert to obtain findings of infringement and no invalidity. The trial resulted in a nine-figure damages verdict for the client. Client goal: Obtain favorable settlement in defending claim of patent infringement. Project experience: Jim represented a client defending a patent lawsuit involving complex digital halftoning and dithering technology. Jim took the lead in crafting claim construction and noninfringement arguments. Working closely with a technical expert, he crafted a convincing summary judgment motion. As a result of Jim’s efforts, the case was settled on terms favorable to the client. Client goal: Secure favorable settlement in “bet the company” case. Project experience: Jim represented a startup speech recognition technology company, defending numerous simultaneous lawsuits in multiple jurisdictions in a momentous patent war with a much larger rival company. In one of the cases, Jim crafted a solid defense and obtained key expert witness testimony that led to a unanimous verdict of noninfringement for his client. Jim then singlehandedly directed the remaining cases, which involved numerous patents asserted by both sides against the other. Through his efforts, the client was able to achieve a global settlement on very favorable terms. Client goal: Thwart aggressive licensing efforts by non-practicing entities. Project experience: Jim represented a client who was targeted by a large non-practicing entity (“NPE”) demanding that a license be taken on a patent directed to anti-aliasing color printing methods and apparatuses. Sensitive to the client’s desire to avoid both litigation and taking a license, Jim quickly and efficiently generated a rock solid noninfringement argument that convinced the NPE to withdraw its demand and walk away prior to litigation. Jim subsequently represented another client that was targeted by an NPE in a licensing campaign involving blade server power management technology. Jim again quickly generated a powerful noninfringement position that convinced the patent holder to dismiss his client from the case soon after it began. Jim stays up-to-date on industry developments as a member of the American, Massachusetts and Boston Bar Associations, American Intellectual Property Law Association, and the Boston Patent Law Association. Jim Hall was lead technical attorney on a team representing a patent holder suing numerous defendants on a portfolio involving wireless communication technologies. Jim successfully shaped the technical aspects of his client's liability case by securing favorable claim construction rulings and obtaining key infringement evidence and deposition testimony. Jim worked with and guided testifying experts to put together an ironclad infringement case. As a result of Jim’s efforts, each of the defendants settled before trial on terms favorable to his client. Jim Hall was lead technical attorney for a patent holder suing a large software company on an anti-piracy software patent. Jim marshaled the evidence and worked with the testifying liability expert to obtain findings of infringement and no invalidity. The trial resulted in a nine-figure damages verdict for the client. Jim Hall represented a client defending a patent lawsuit involving complex digital halftoning and dithering technology. Jim took the lead crafting claim construction and noninfringement arguments. Working closely with a technical expert, he crafted a convincing summary judgment motion. As a result of Jim’s efforts, the case was settled on terms favorable to the client. Jim Hall represented a startup speech recognition technology company defending numerous simultaneous lawsuits in multiple jurisdictions in a momentous patent war with a much larger rival company. In one of the cases, Jim crafted a solid defense and obtained key expert witness testimony that led to a unanimous verdict of noninfringement for his client. Jim then singlehandedly directed the remaining cases, which involved numerous patents asserted by both sides against the other. Through his efforts, the client was able to achieve a global settlement on very favorable terms. Jim Hall represented a client who was targeted by a large non-practicing entity (“NPE”) demanding that a license be taken on a patent directed to anti-aliasing color printing methods and apparatuses. Sensitive to the client’s desire to avoid both litigation and taking a license, Jim quickly and efficiently generated a rock solid noninfringement argument that convinced the NPE to withdraw its demand and walk away prior to litigation. Jim subsequently represented another client that was targeted by an NPE in a licensing campaign involving blade server power management technology. Jim again quickly generated a powerful noninfringement position that convinced the patent holder to dismiss his client from the case soon after it began. Jim was the lead technical attorney for a patent holder suing a large software company on an anti-piracy software patent. Jim marshaled the evidence and worked with the testifying liability expert to obtain findings of infringement and no invalidity. The trial resulted in a nine-figure damages verdict for the client. 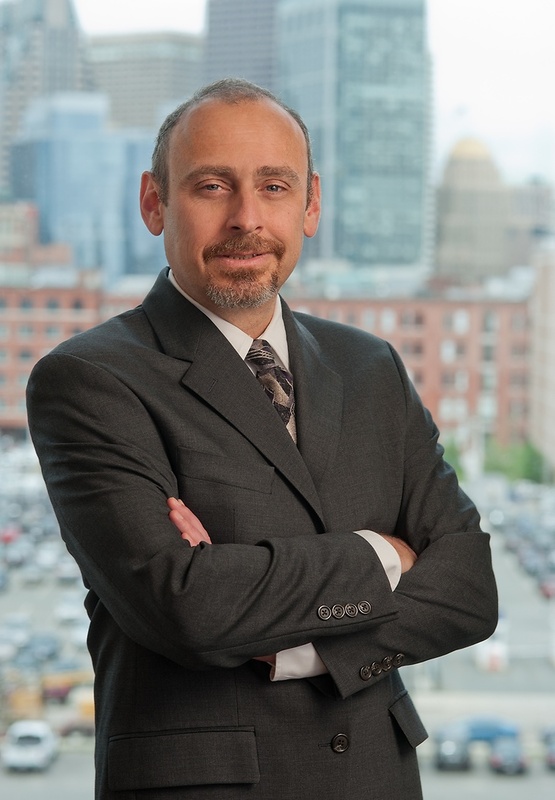 Jim was selected to Massachusetts Super Lawyers in 2018.